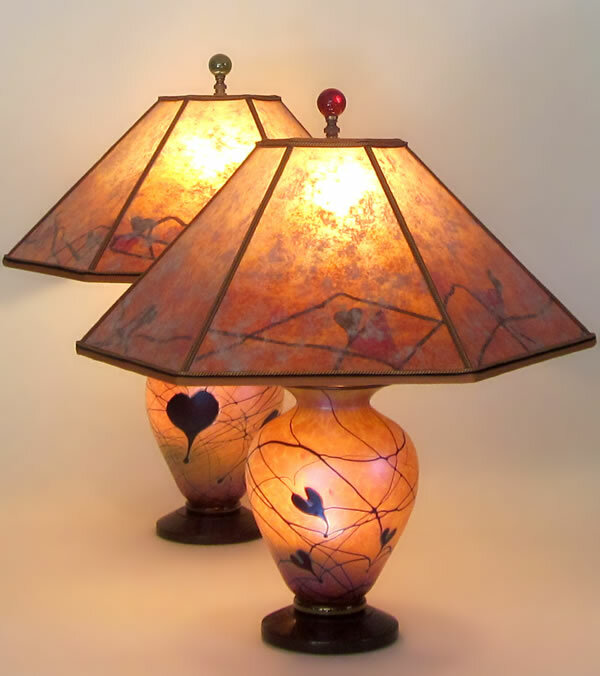 Sue asked David Lindsay, of Lindsay Art Glass, to blow some vases decorated with hearts and he created these two lovely variations – one with small hearts and few veins, the other with a few larger hearts and more veins. Sue designed and made shades that reflect that variation. 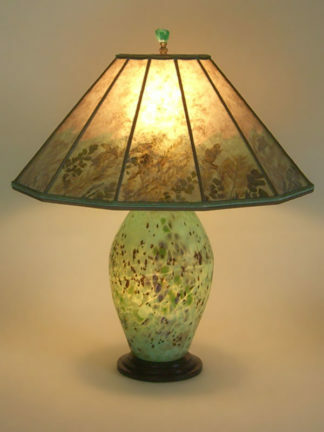 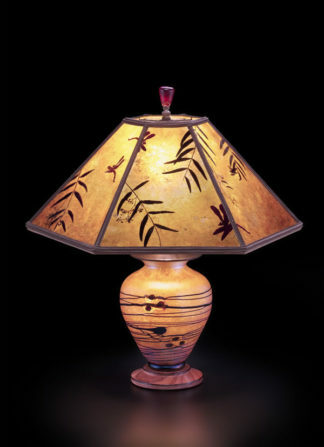 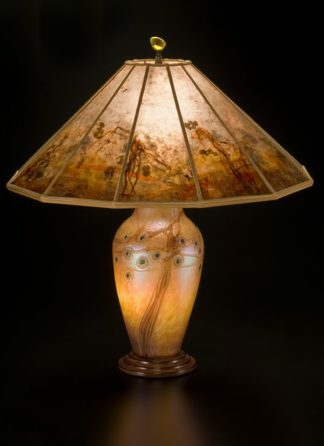 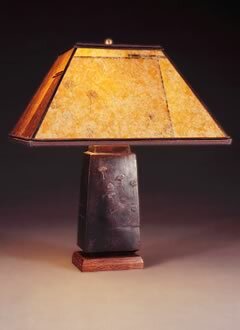 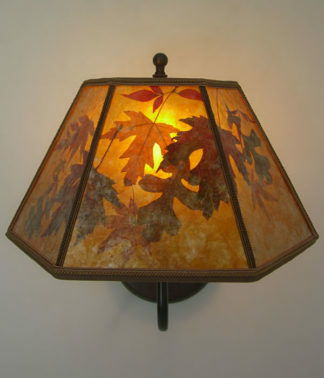 The golden lamp bases are lit from within; the 3-way switch allows you to illuminate the base only, the shade only or both together as shown in the photograph.